Iron powder briquetting machine is mainly used for pelleting ferrous and non-ferrous metal ore powders, thus improving their added value. 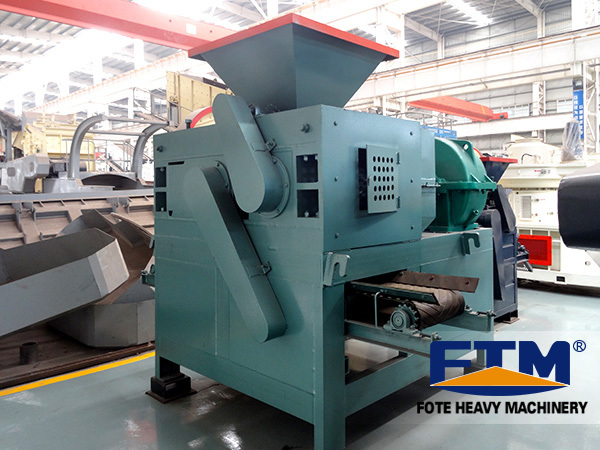 All the materials that contain powdery particles and need clinkering need to use iron powder ball machine including fly ash, sludge, sinter, slag, iron finemean, aluminum powder and bementite powder. 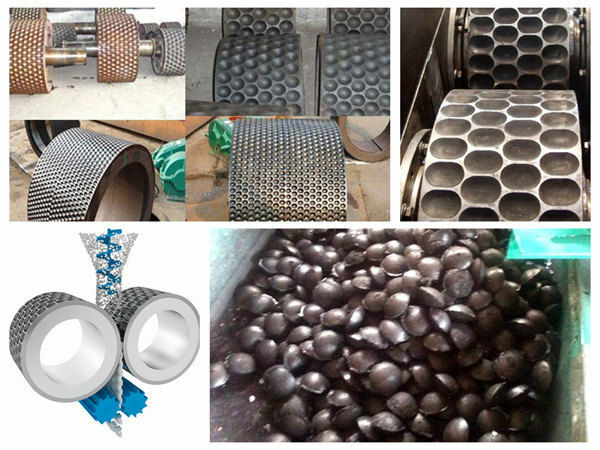 The roller skin adopts composite assembly, so that it can be changed when abraded. This briquette machine has a shock absorber which can better protect the equipment from the impact of hard materials. The iron powder briquette machine is designed with ball bowl adjustable device to make sure the ball bowls of the two rollers are always in the adjustable range. Powdered iron briquetting machine is suitable for pressing wet powders, which means that it is necessary to add proper amount of water or other liquid adhesives into the materials. This product has excellent pressing effect on various materials such as caustic-burned magnesia powder, sinter, sludge in steel plant and iron finemeal. 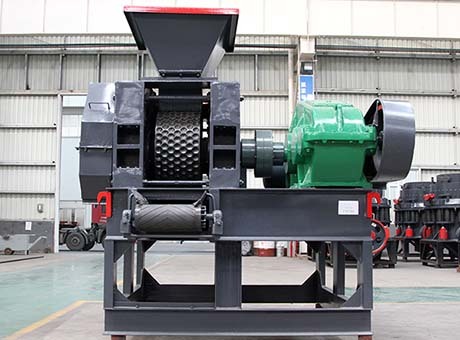 Iron powder briquette machine is equipped with reducer, and the motor and the reducer drive the machine through arc tooth coupling and the two rollers of the main engine rotate in the opposite direction driven by the synchromesh gear.